Built in 1938, Bansang Hospital stands deep in the Gambian bush, serving as the main referral hospital for 600, 000 acutely vulnerable people. 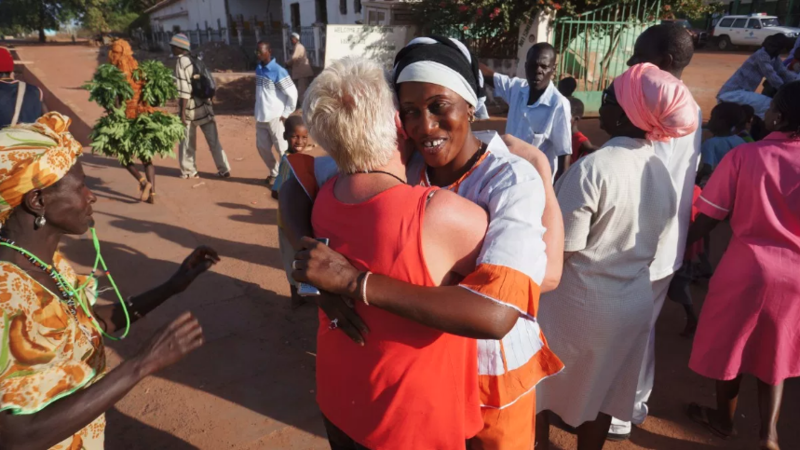 The Bansang Hospital Appeal in an award winning charity dedicated to improving healthcare provision in remote regions of the Gambia, dedicated to reversing the Bansang Hospital’s once terminal decline. The appeal works to rewrite the narrative of healthcare delivery for the chronic poor in Sub-Saharan Africa. From hopeless to hopeful and life-affirmative, staff retention has rocketed enabling sustained and holistic care for patients. Shambala has been supporting Bansang in its work for 7 years. Shambalan’s contributions have supported major developments in the hospital and orphanage, including renovation of staff accommodation, the Pharmacy, and Paediatric and Physiotherapy departments. Donations raised directly from Shambala’s partnership with Bansang has also helped the purchase of a tractor, needed for the innovative staff farming project and making strides towards the hospital’s self-reliance on food for patient feeding!